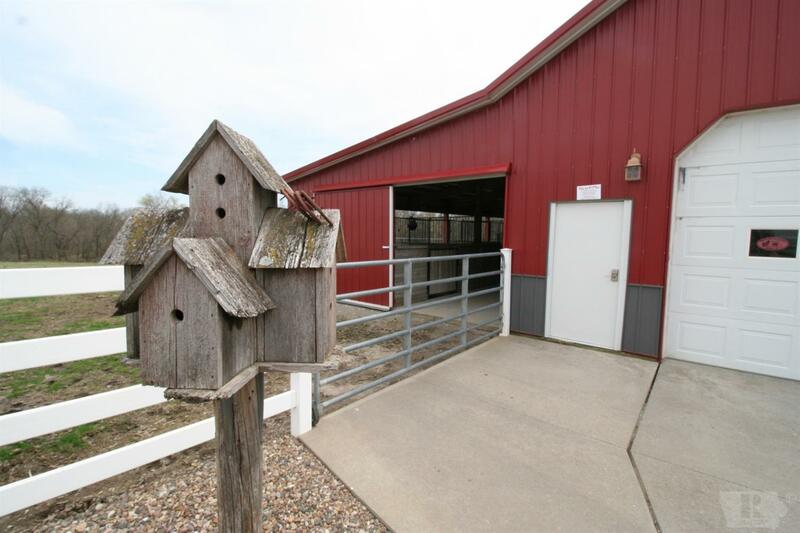 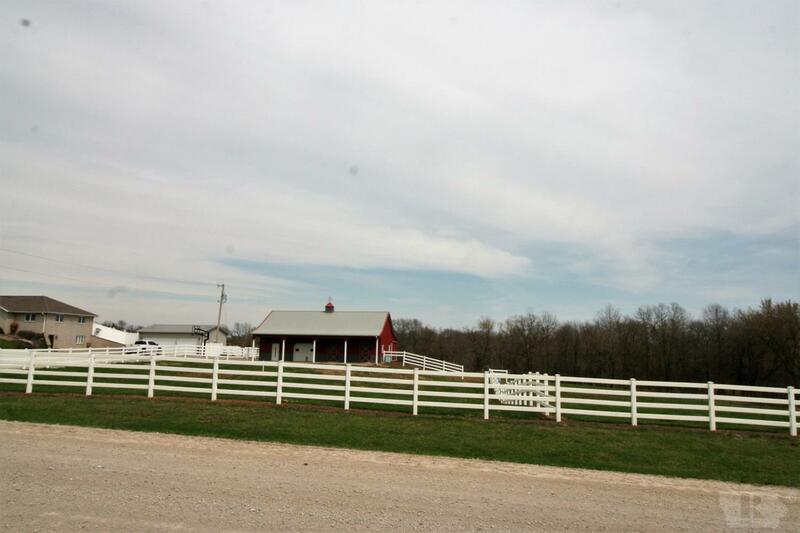 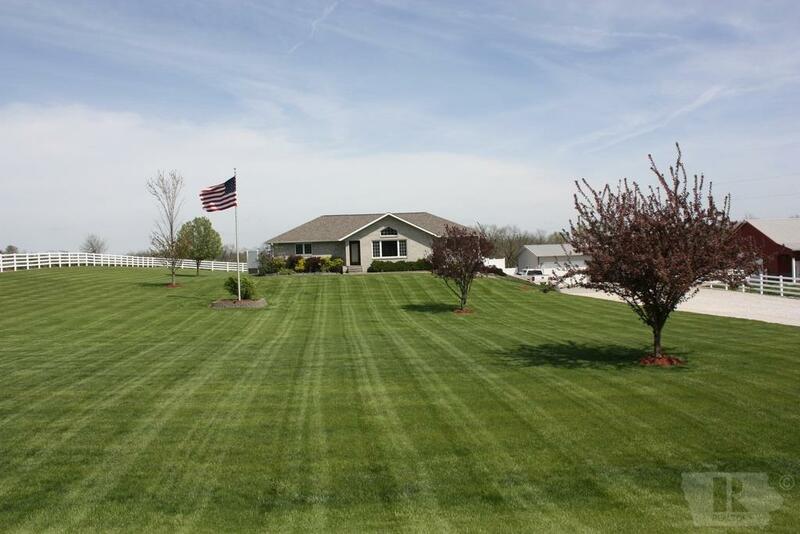 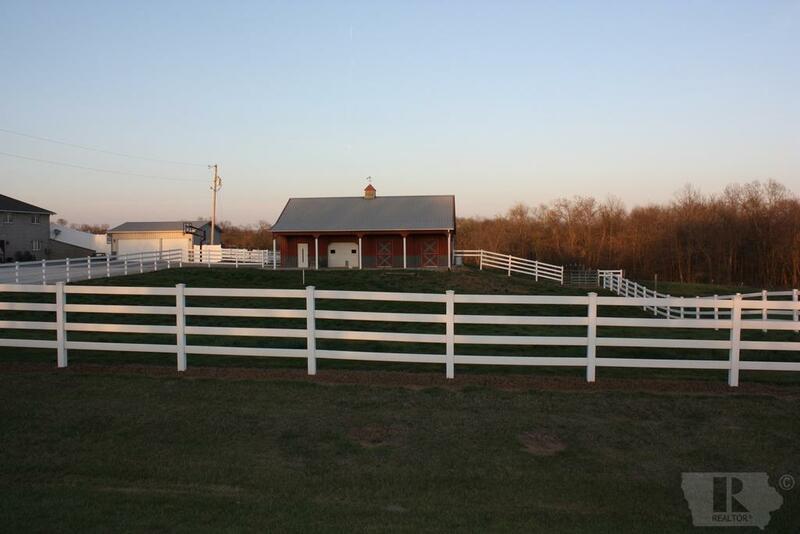 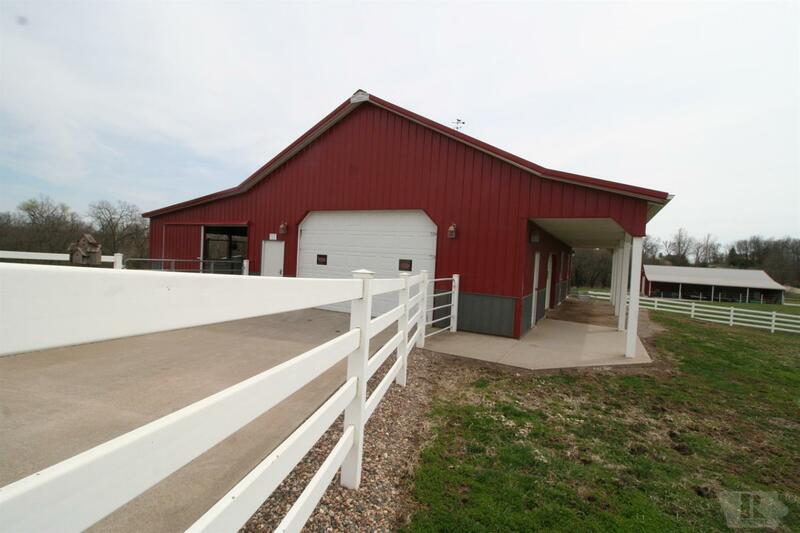 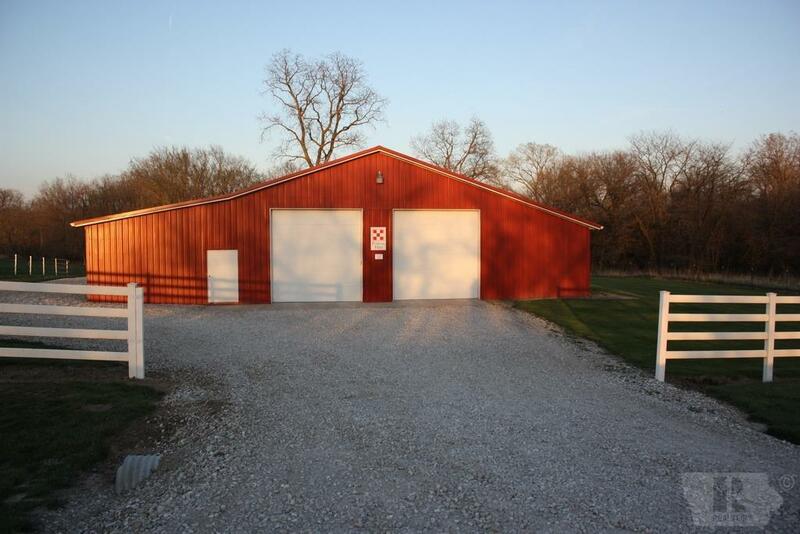 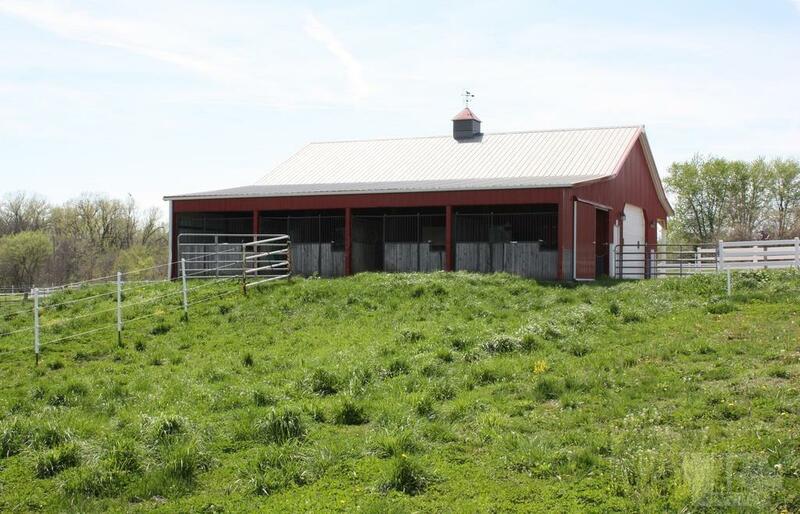 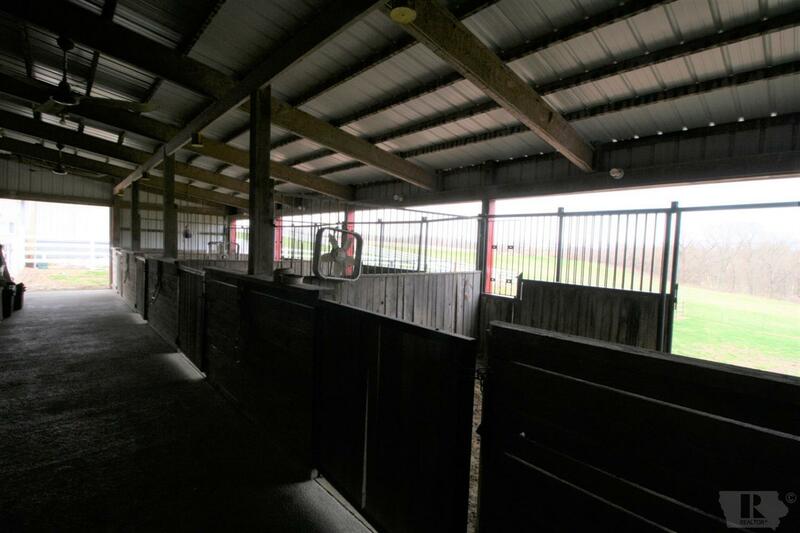 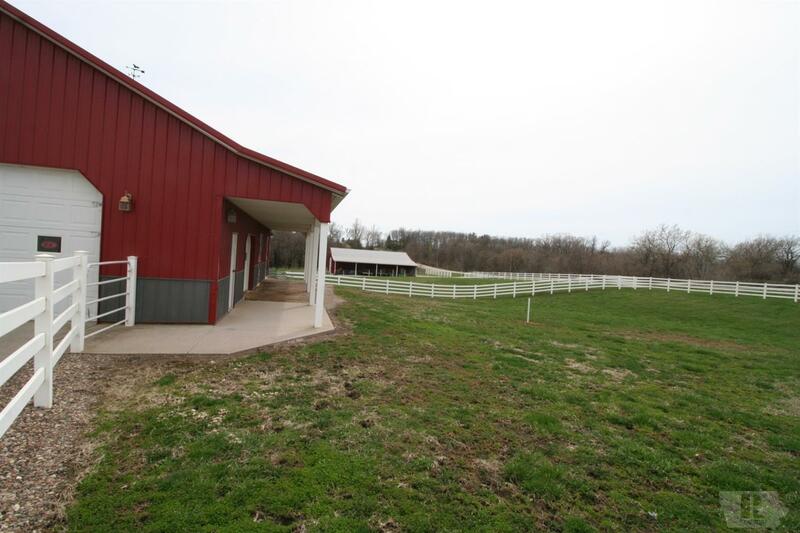 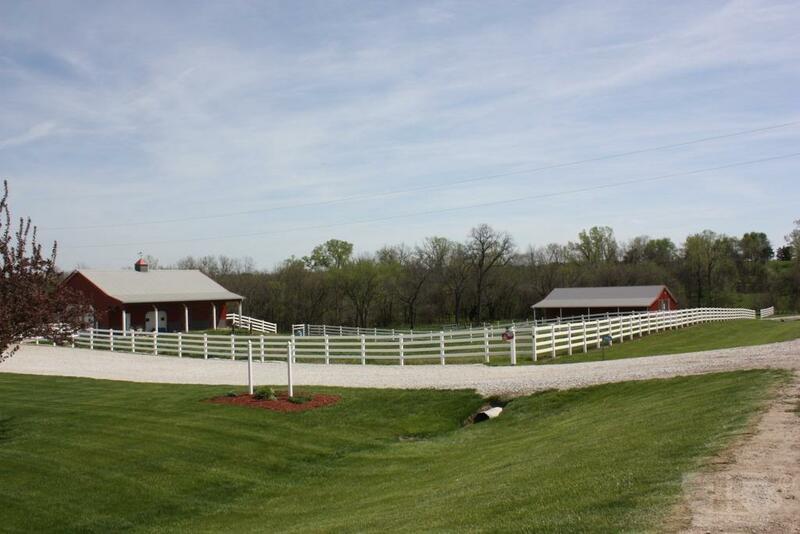 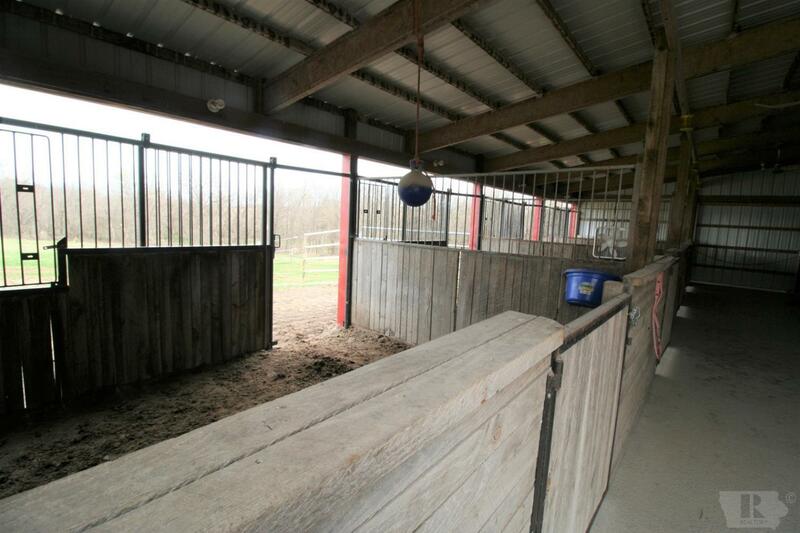 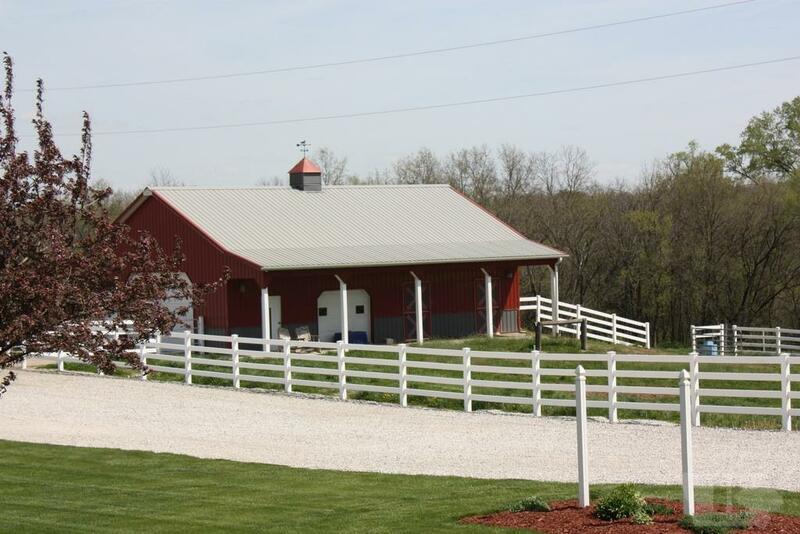 Brick home, with 3520 total square footage and 18 AC/ML, a 48x50x12 barn with 6 horse stalls & concrete floors and 2 automatic waterers. 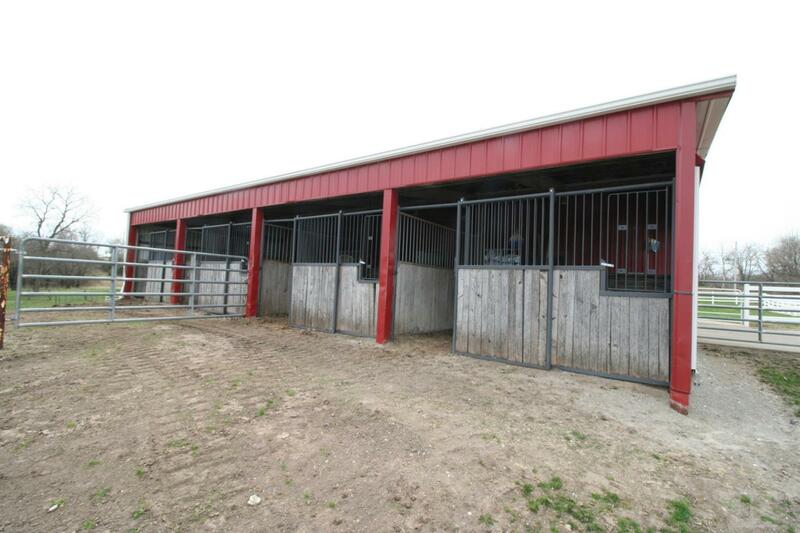 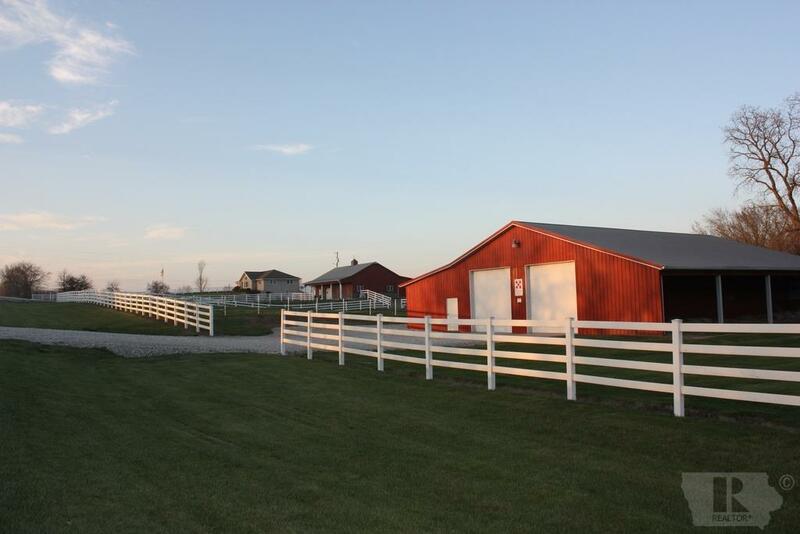 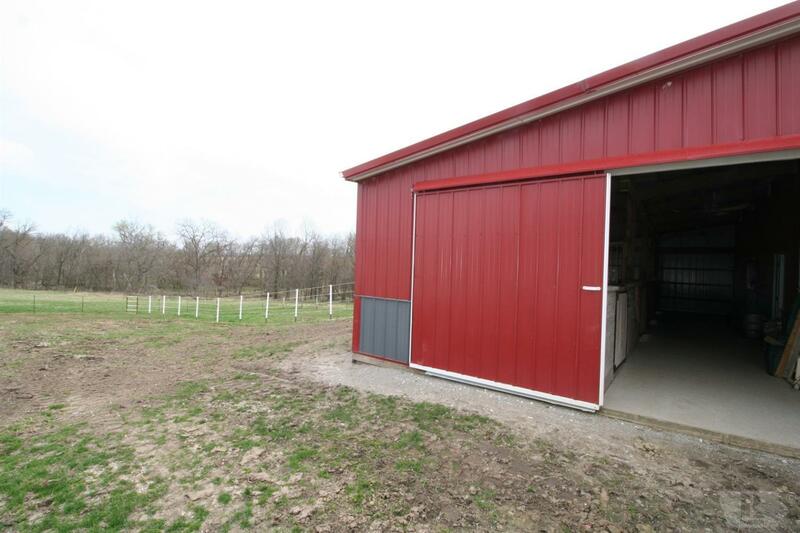 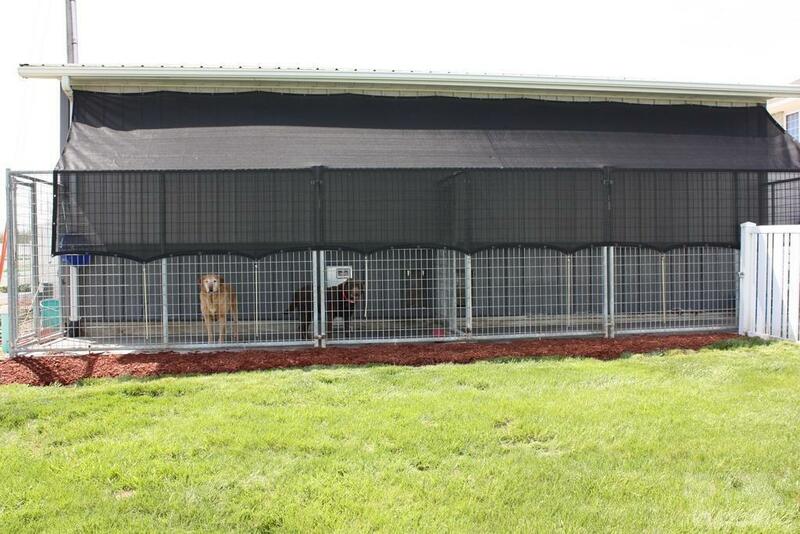 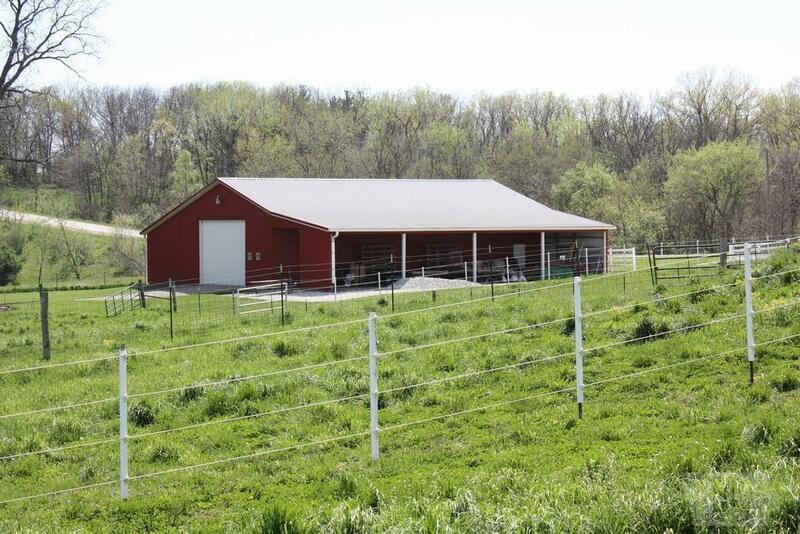 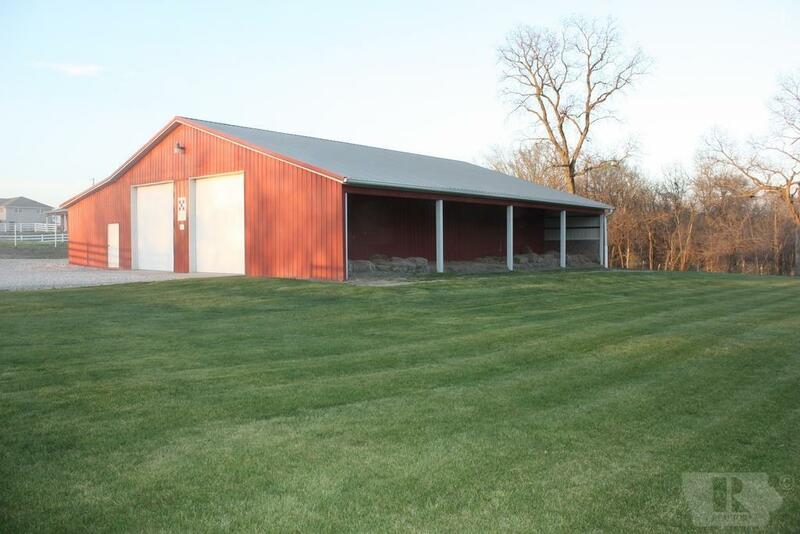 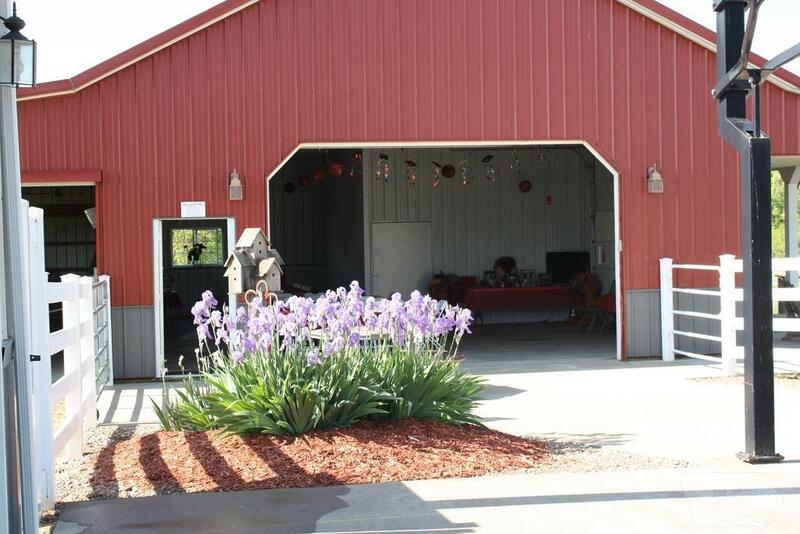 A 40x72x14 pole building is also on the property (both buildings are insulated with metal sheeting). 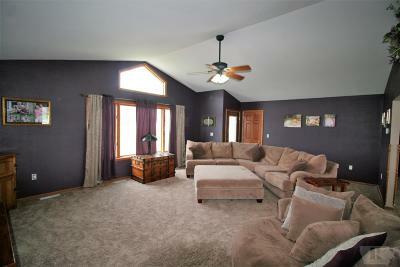 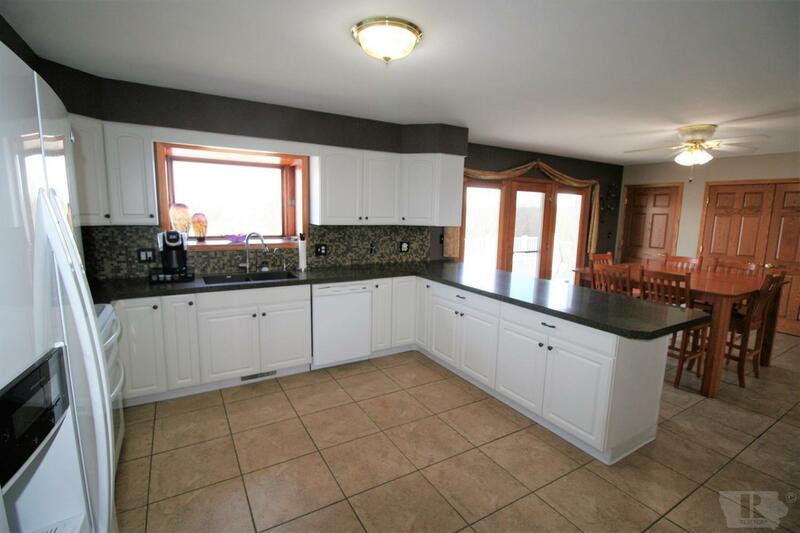 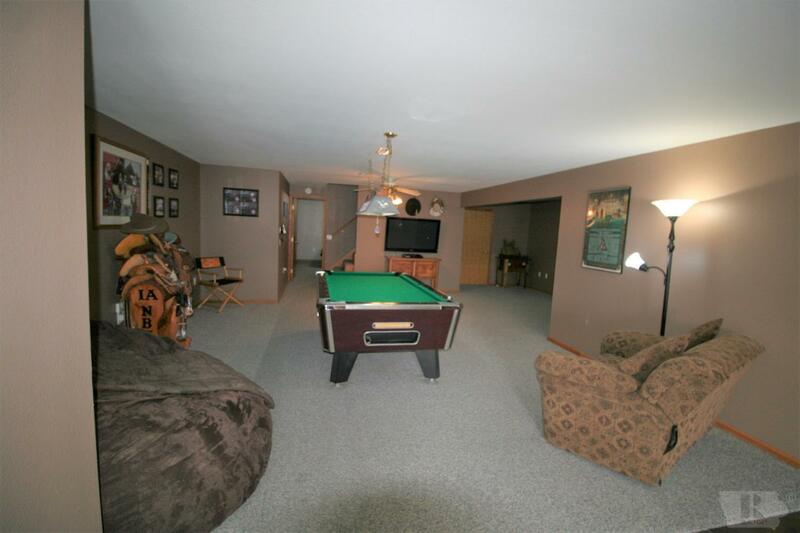 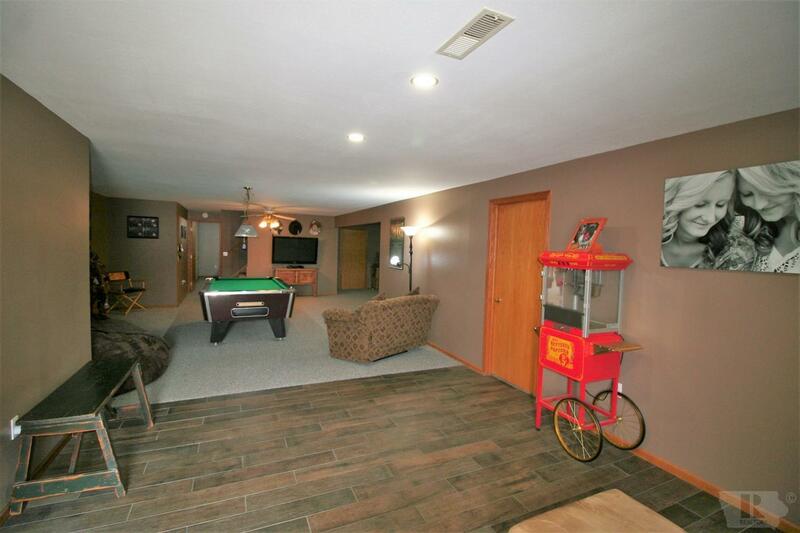 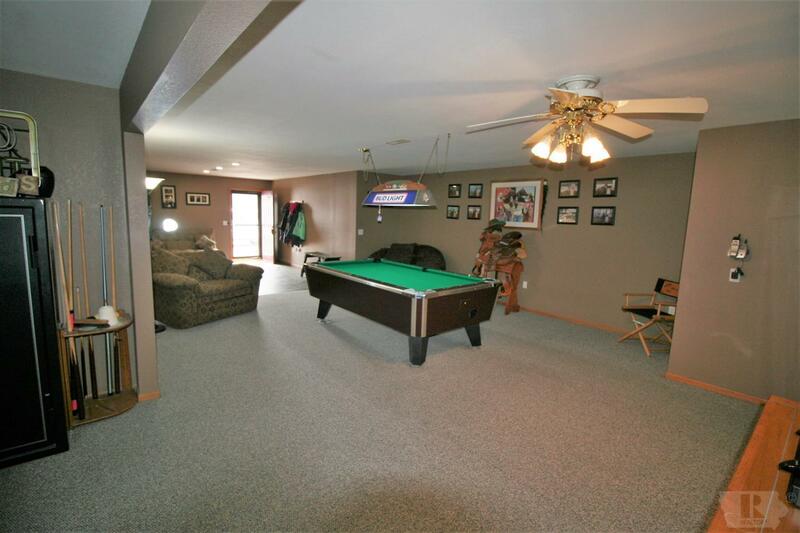 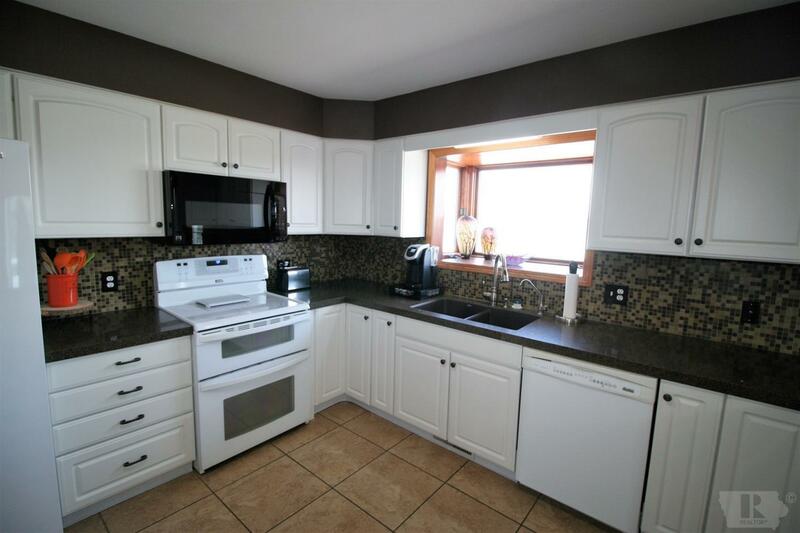 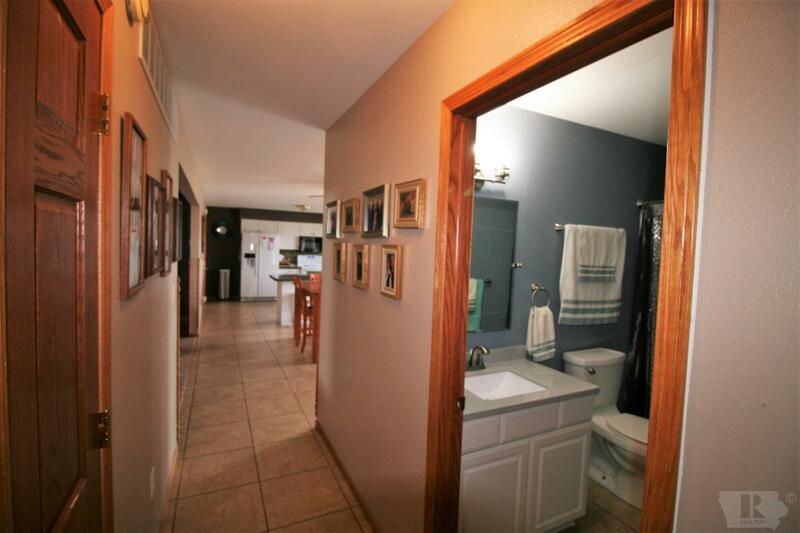 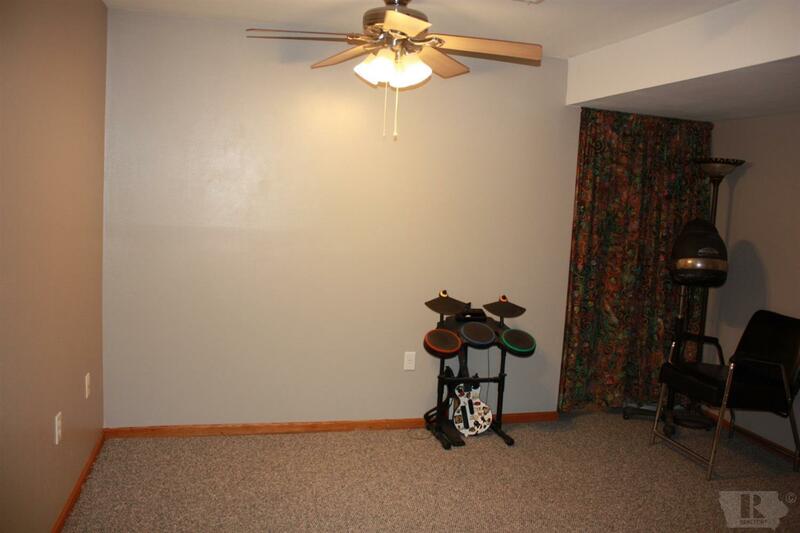 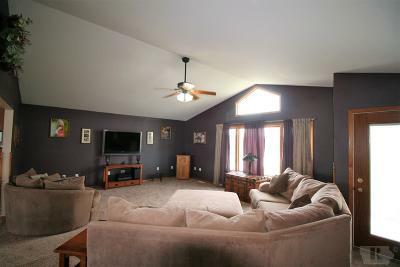 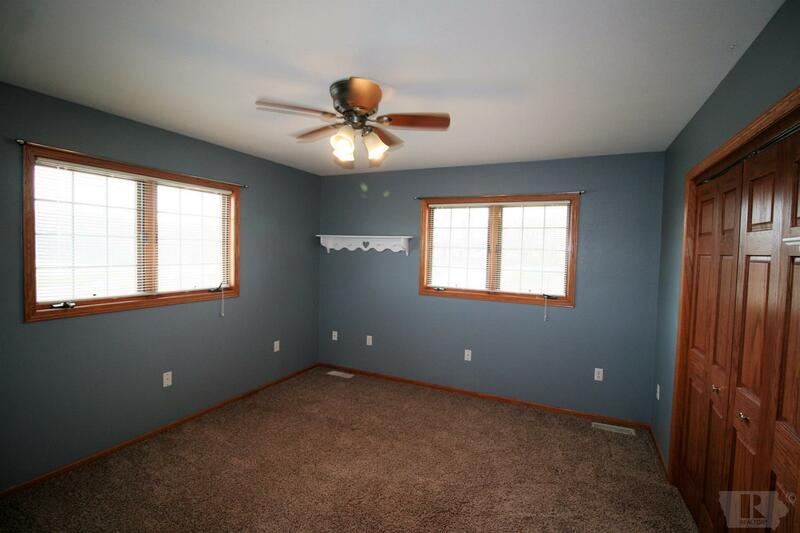 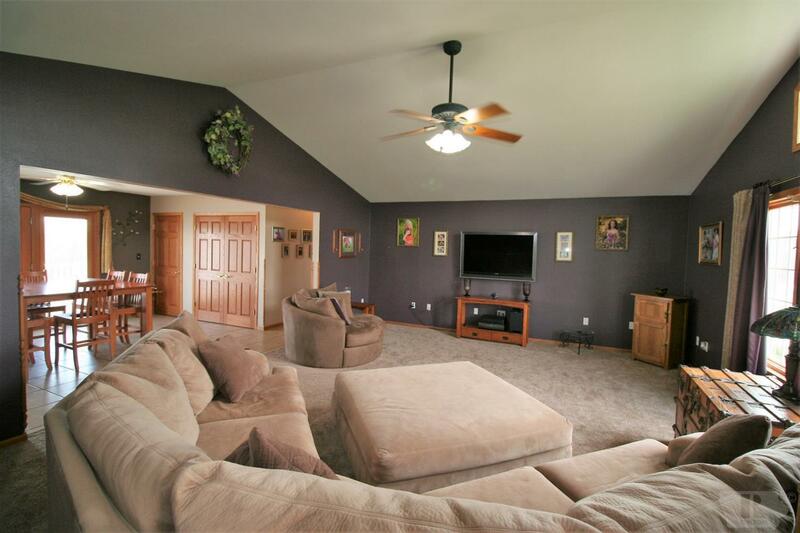 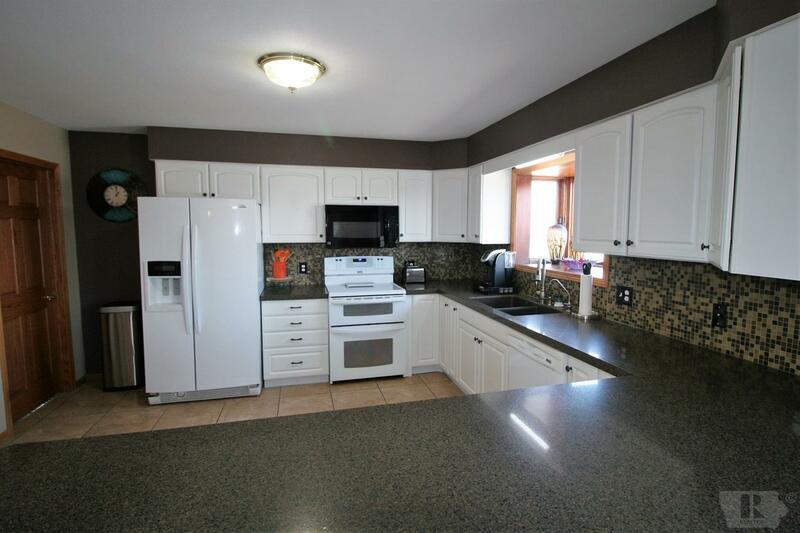 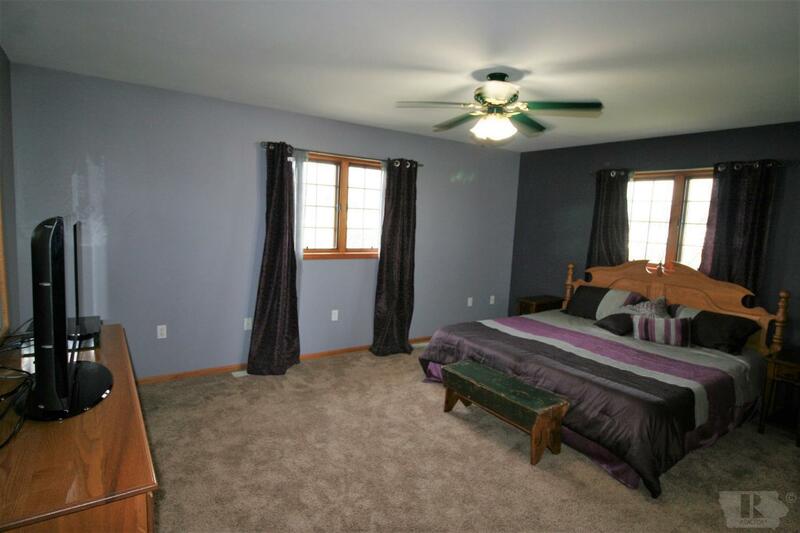 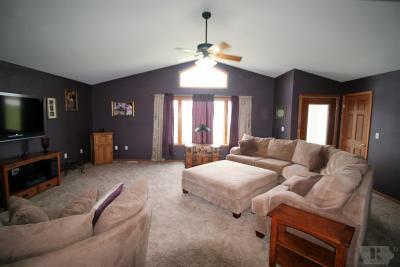 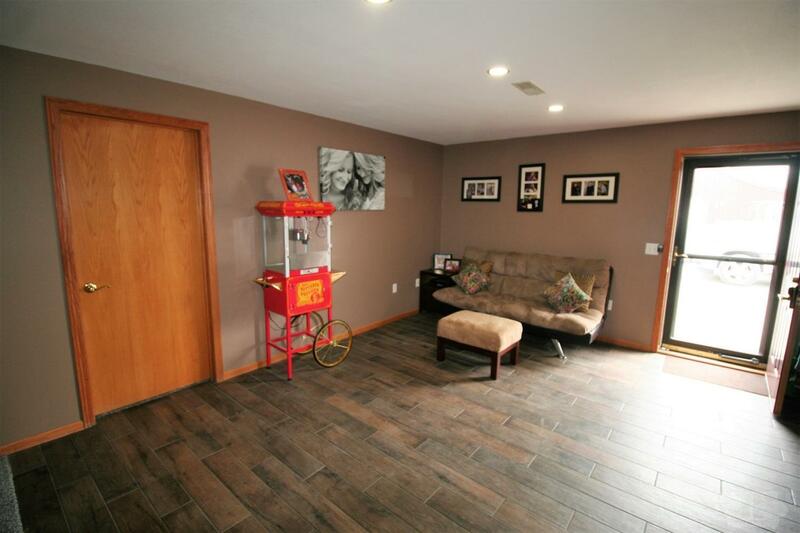 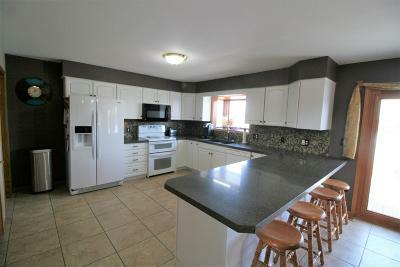 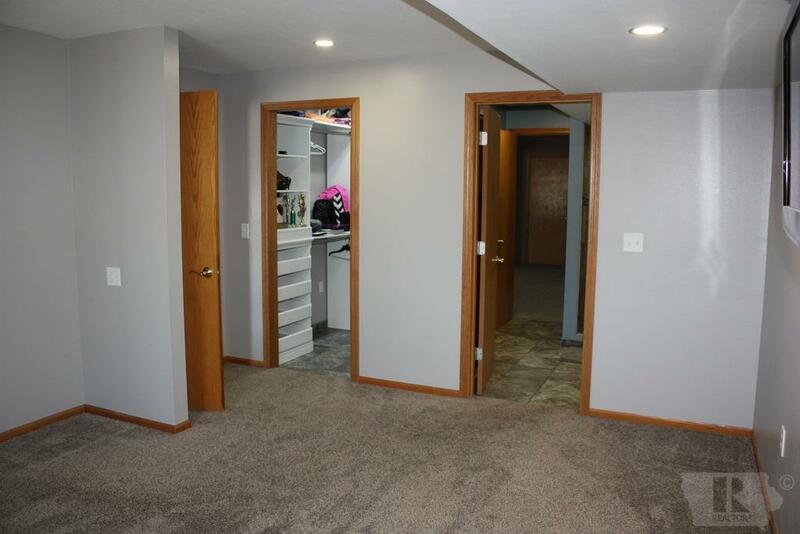 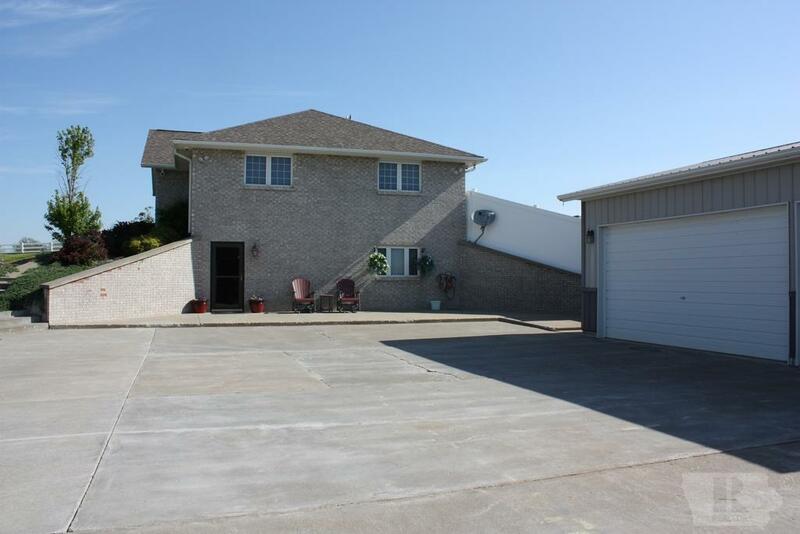 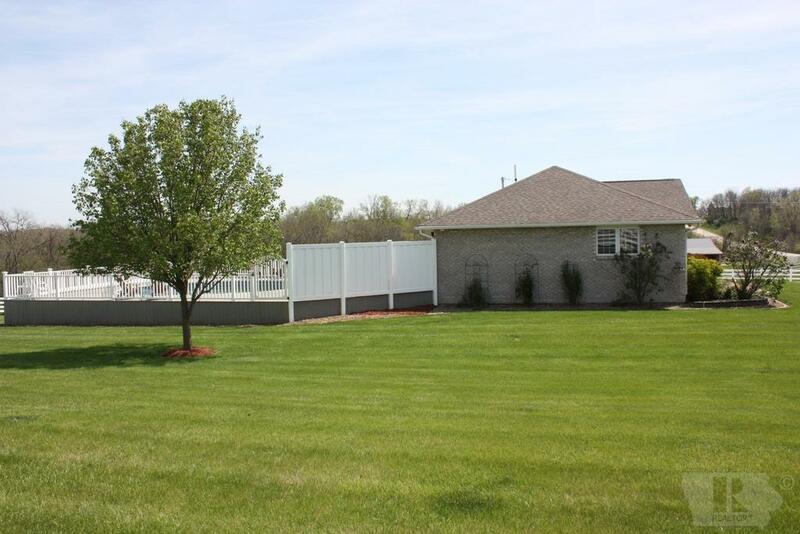 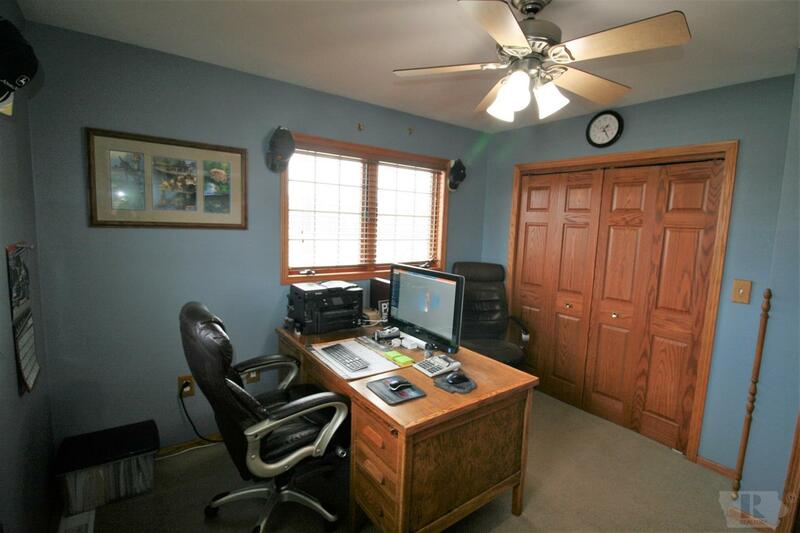 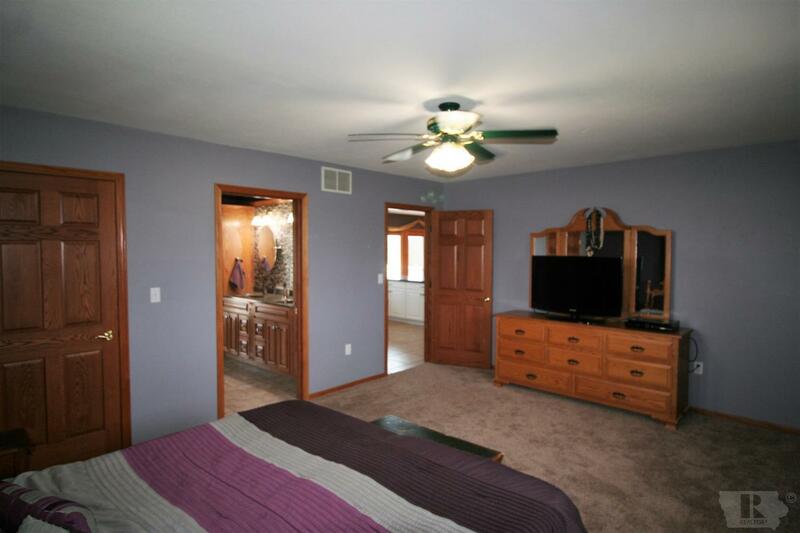 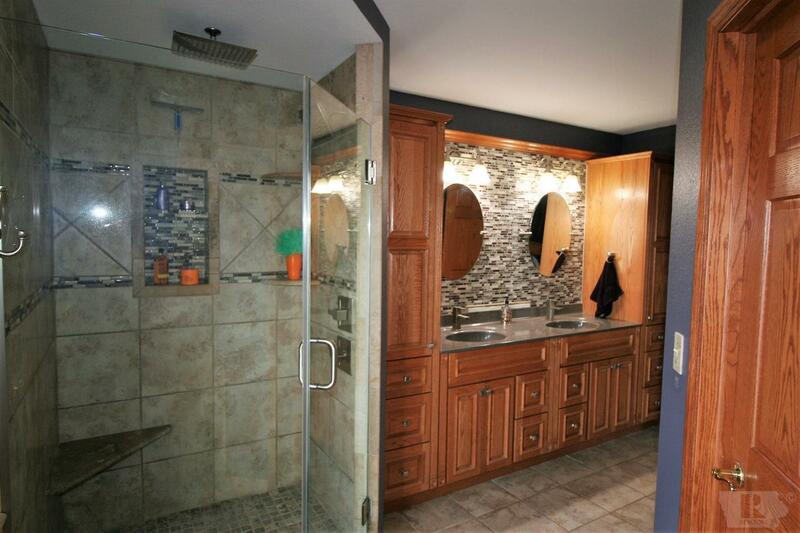 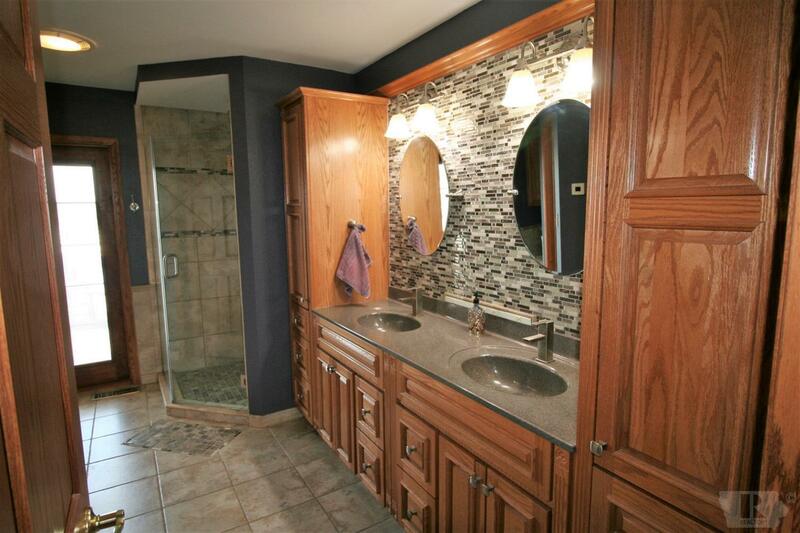 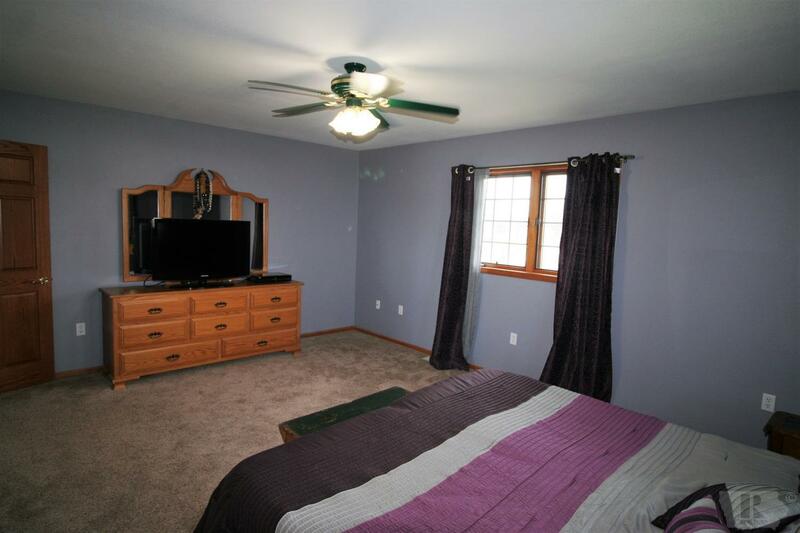 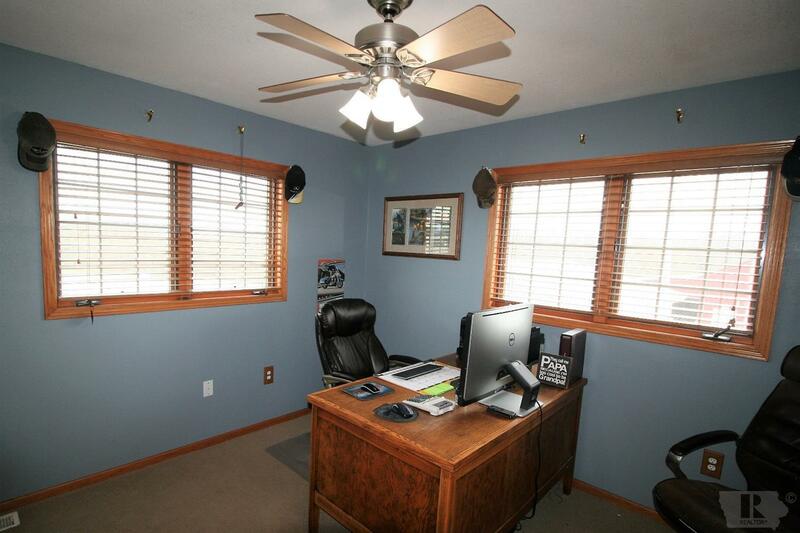 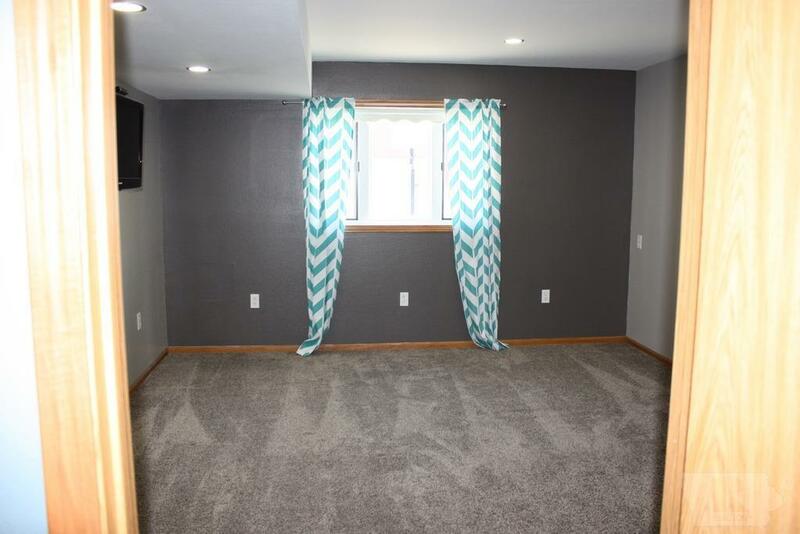 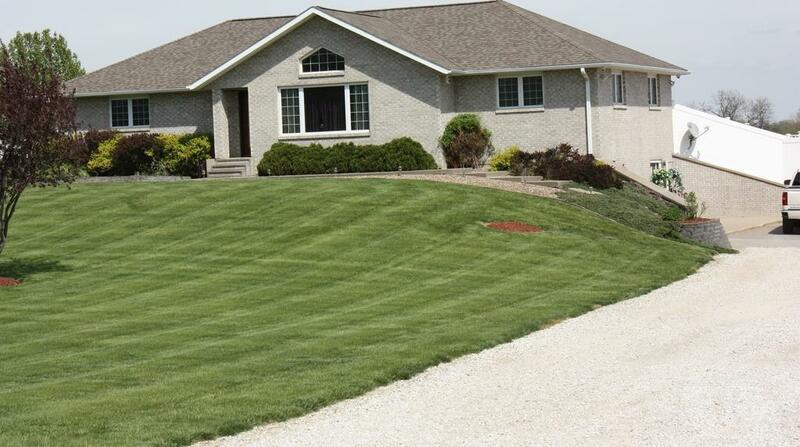 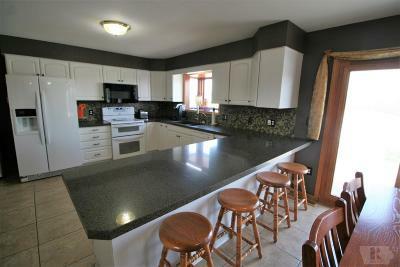 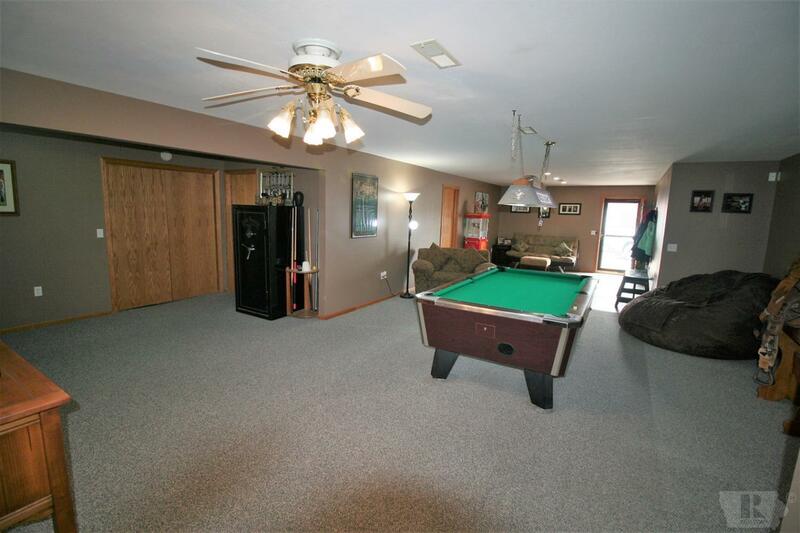 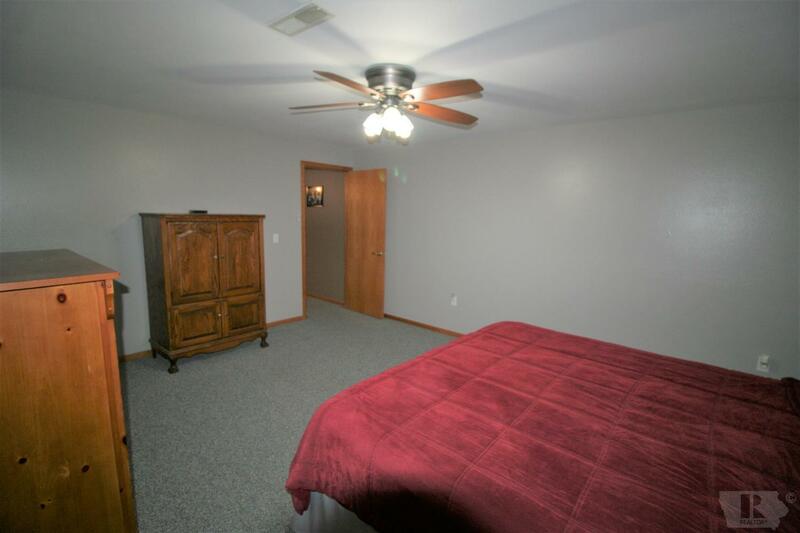 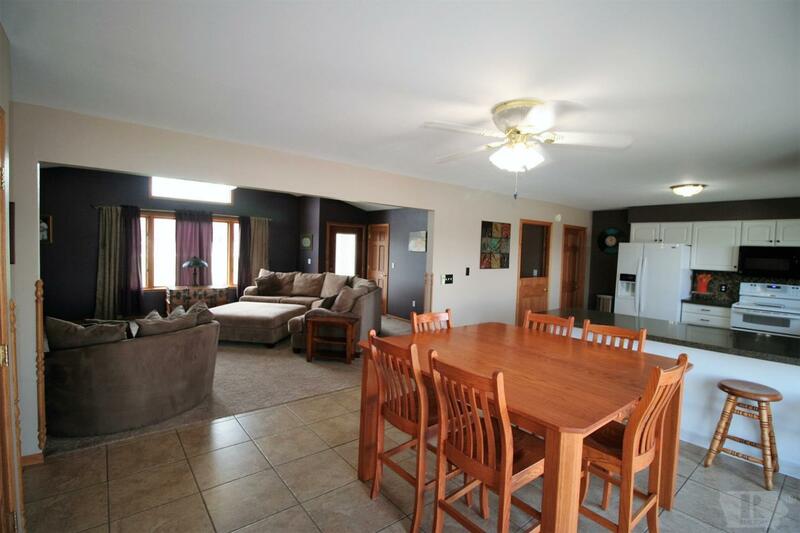 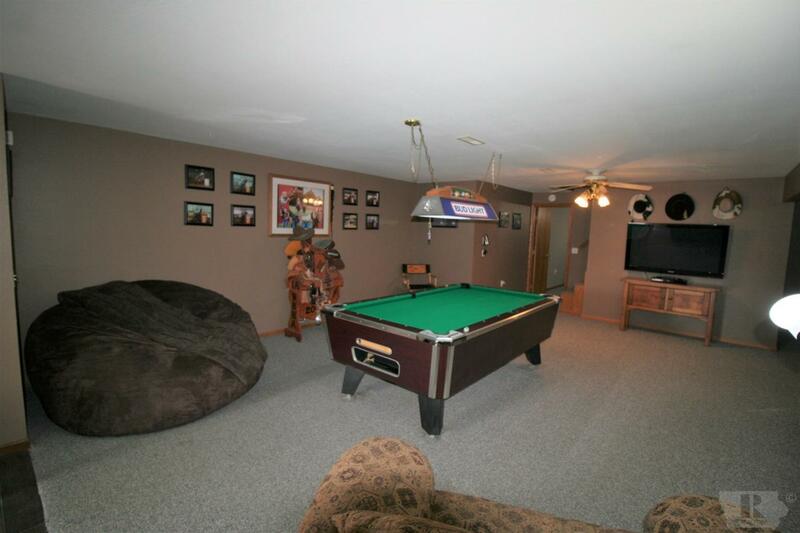 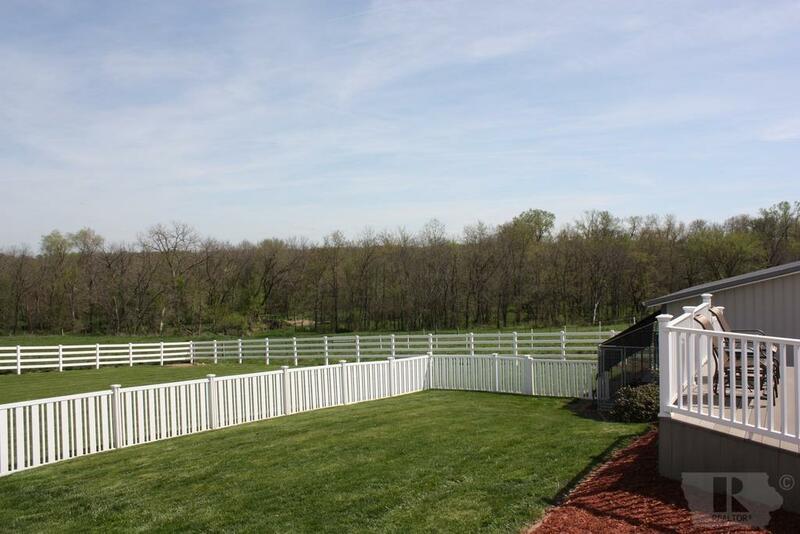 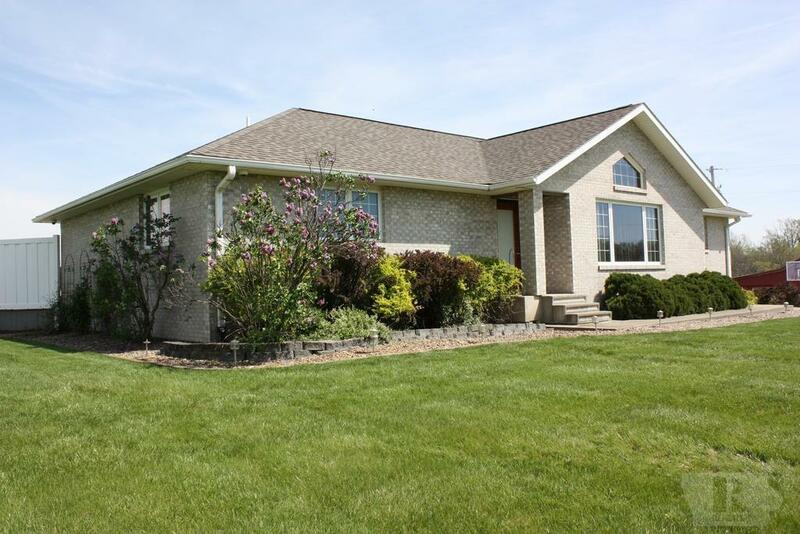 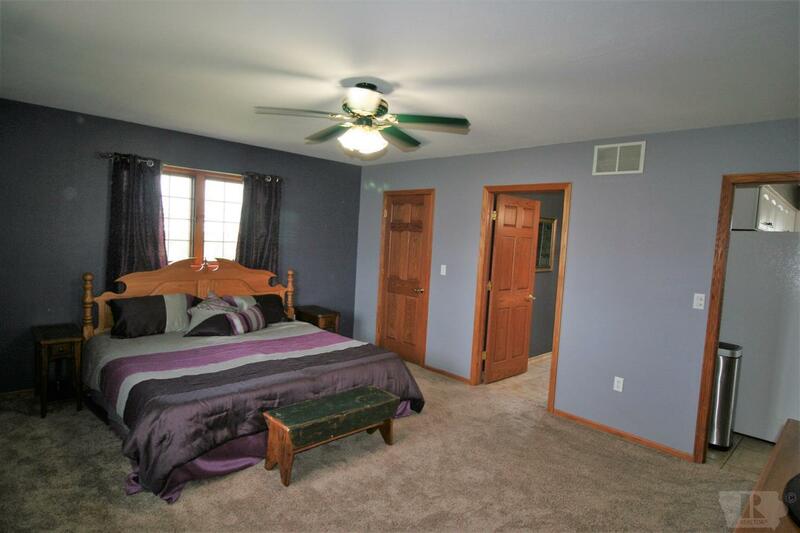 This home has 4 bedrooms with 2 non conforming bedrooms in the finished walk-out basement. 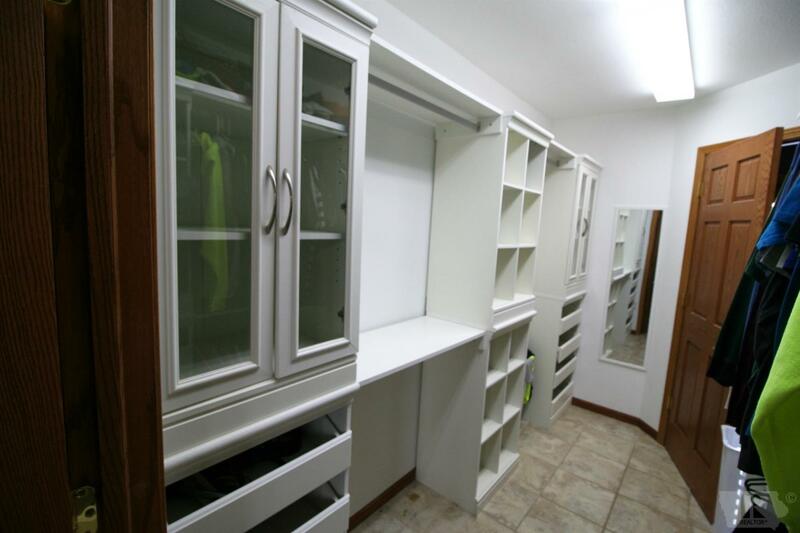 The closet space in the bedrooms are awesome with 2 bedroom closets having built-ins. 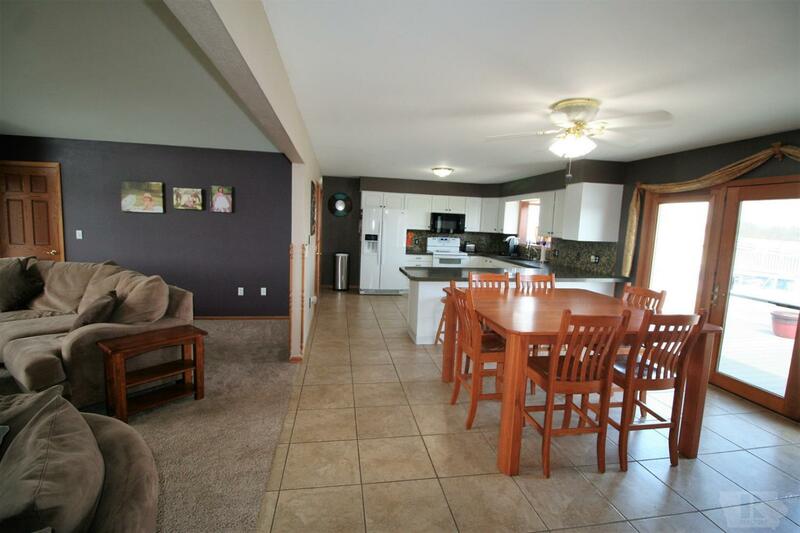 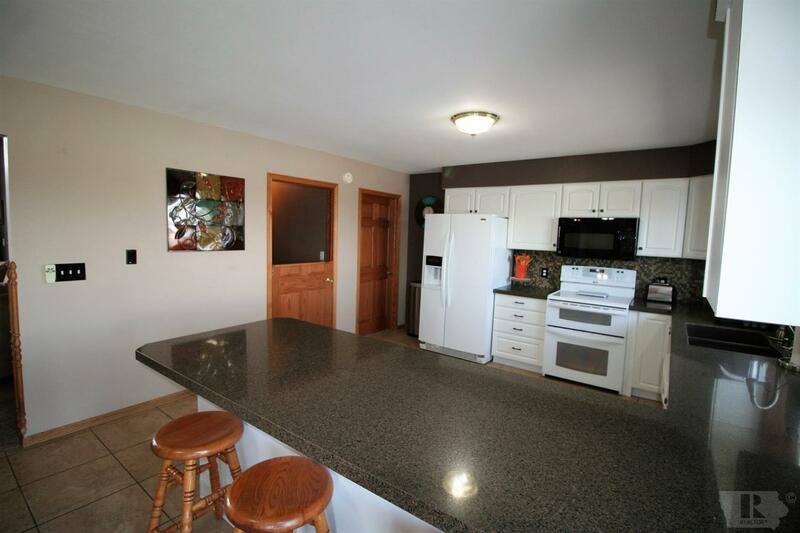 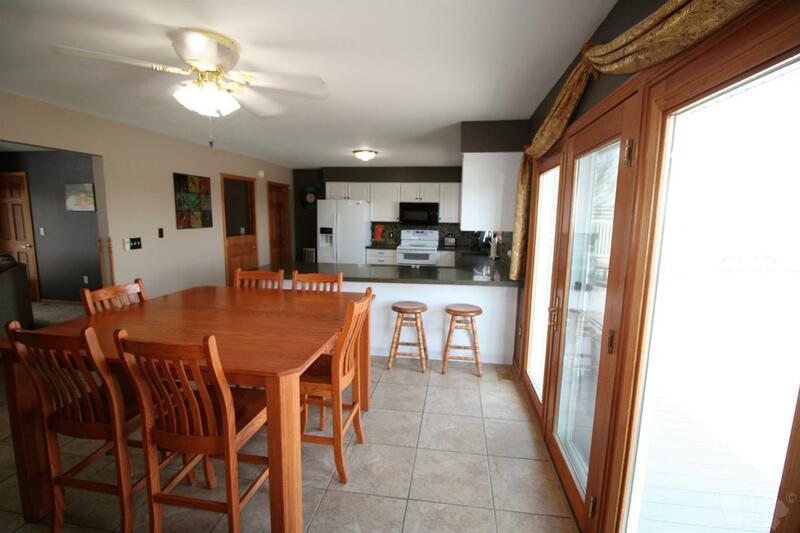 The eat-in kitchen is open to the living room and both rooms let in a lot of natural light. In the kitchen, you will find a convenient breakfast bar, gorgeous granite backsplash, granite countertops, a granite drop sink, double convection oven, and modern white Merillat cabinets. 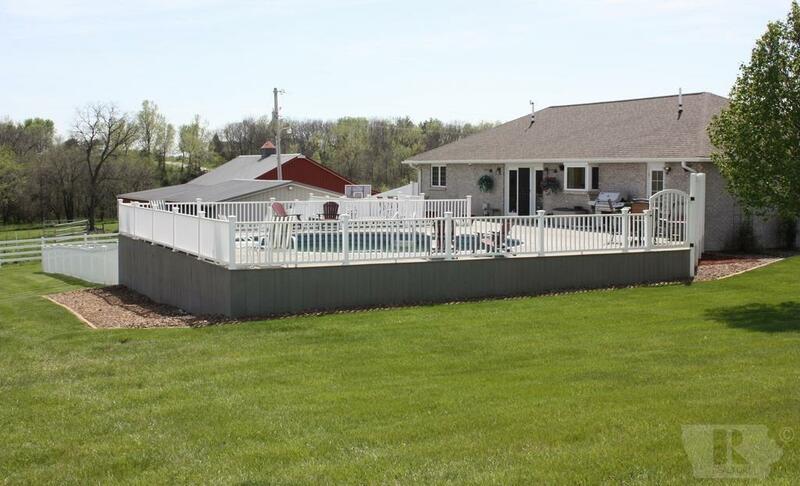 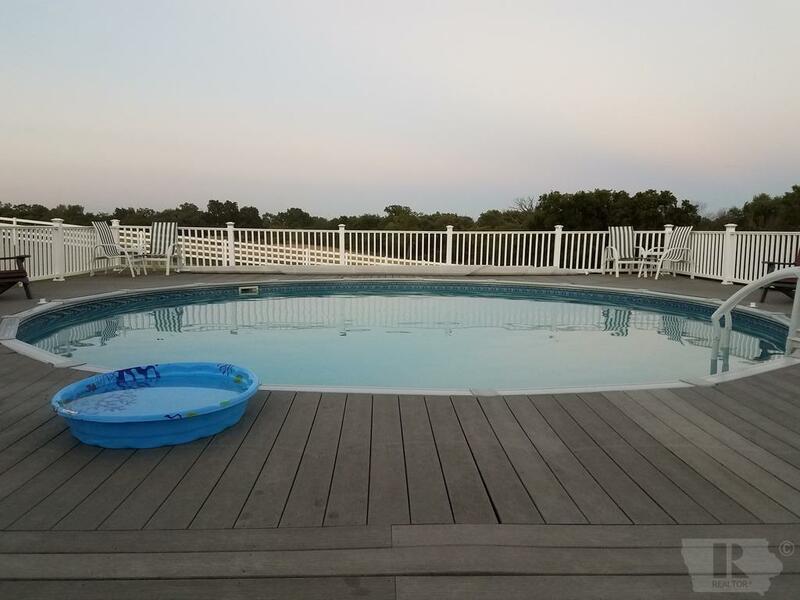 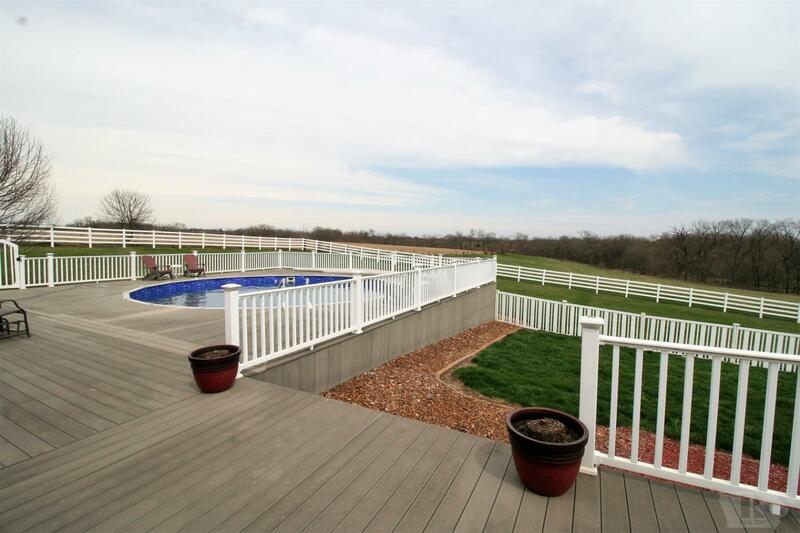 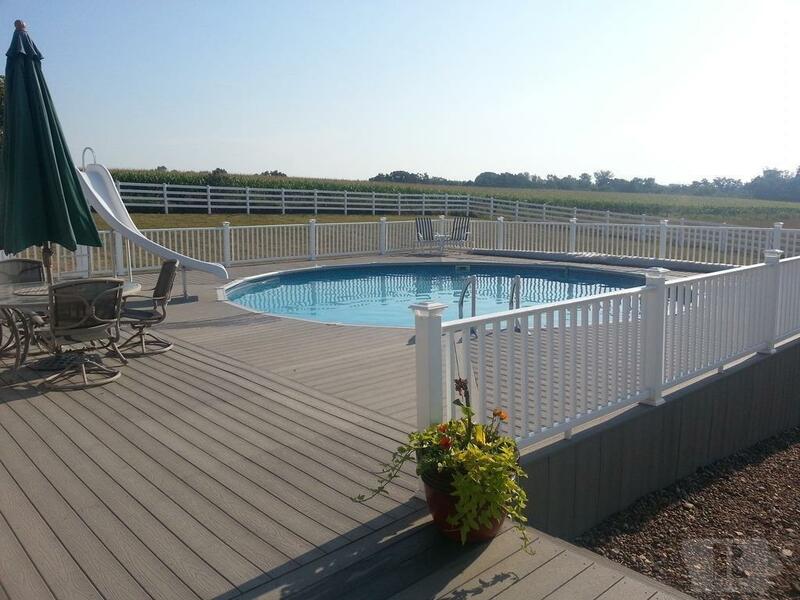 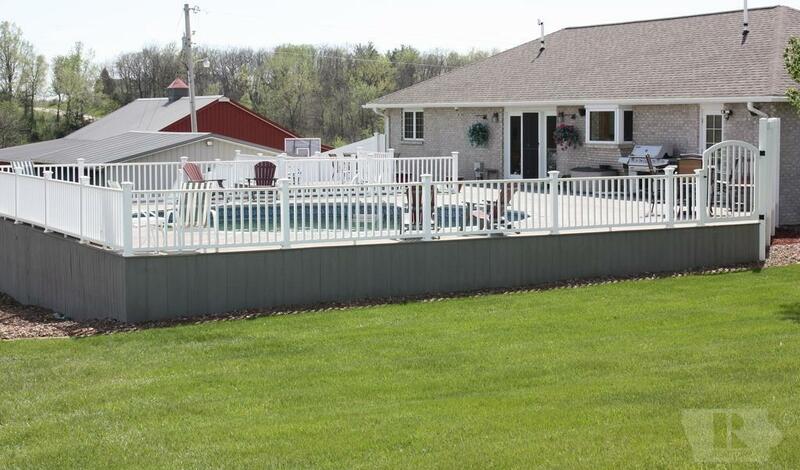 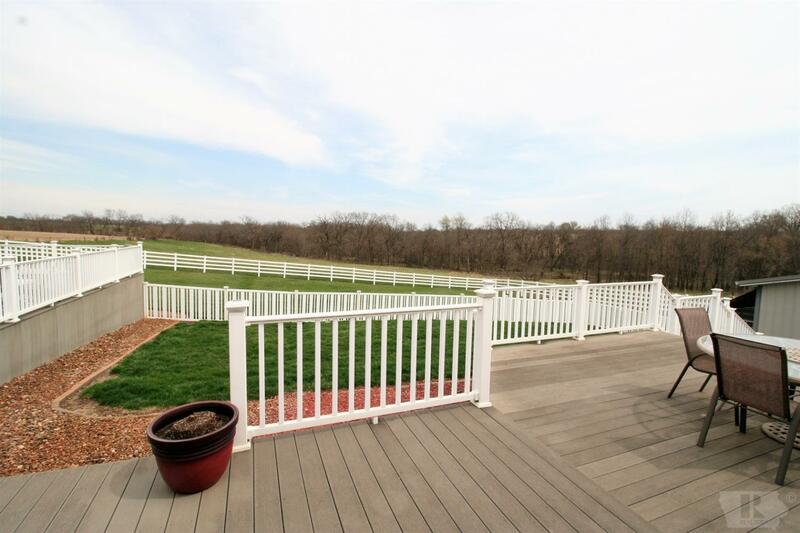 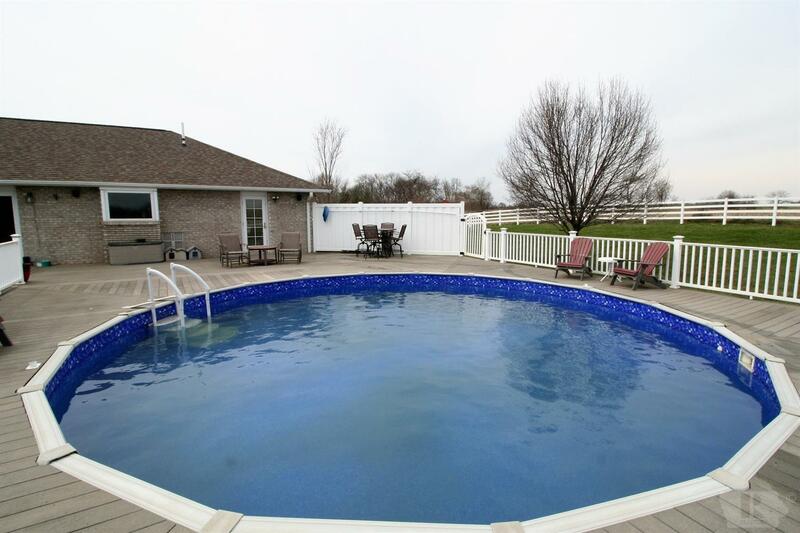 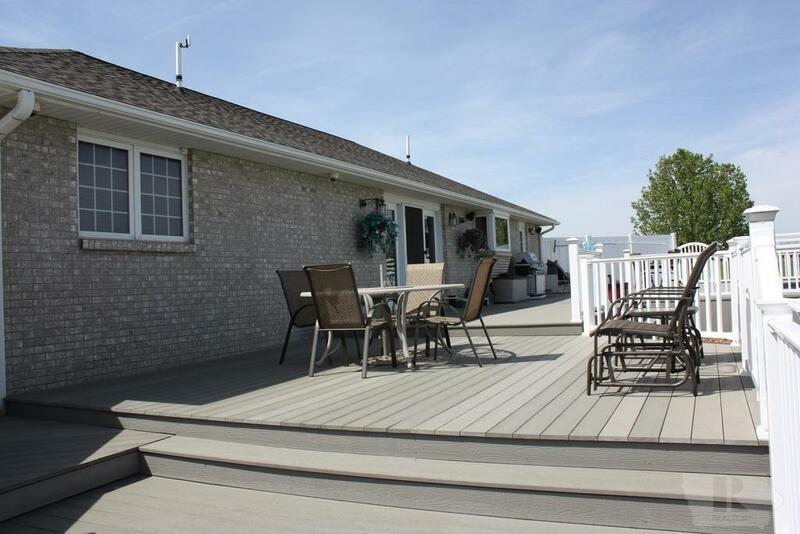 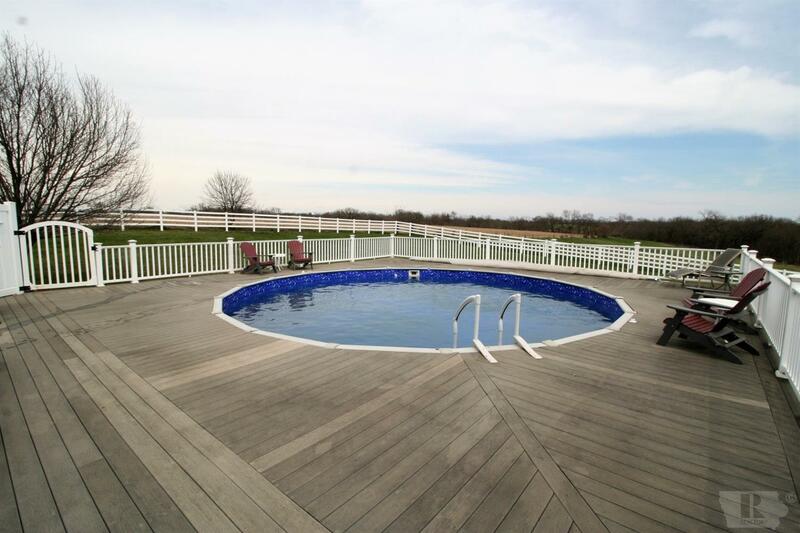 You can access the beautiful composite deck from the kitchen and see the breathtaking views of Iowa's landscape and would make a great place to relax after a long day while enjoying a nice swim in the pool! 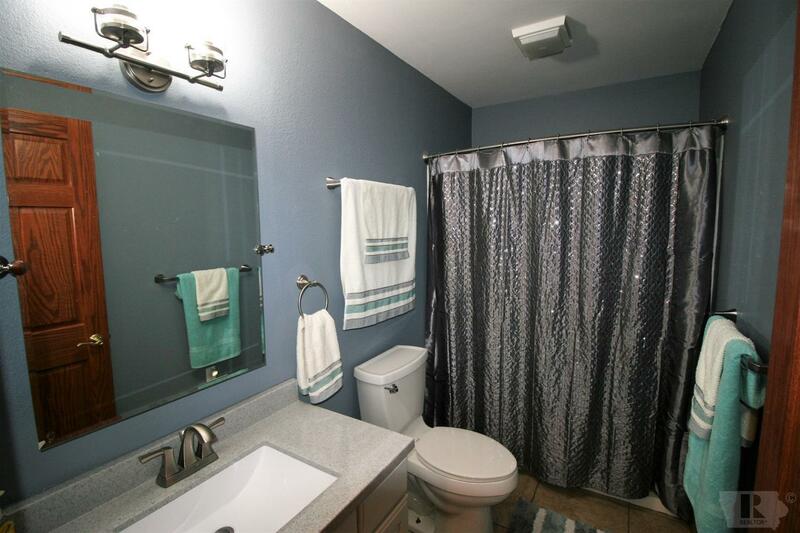 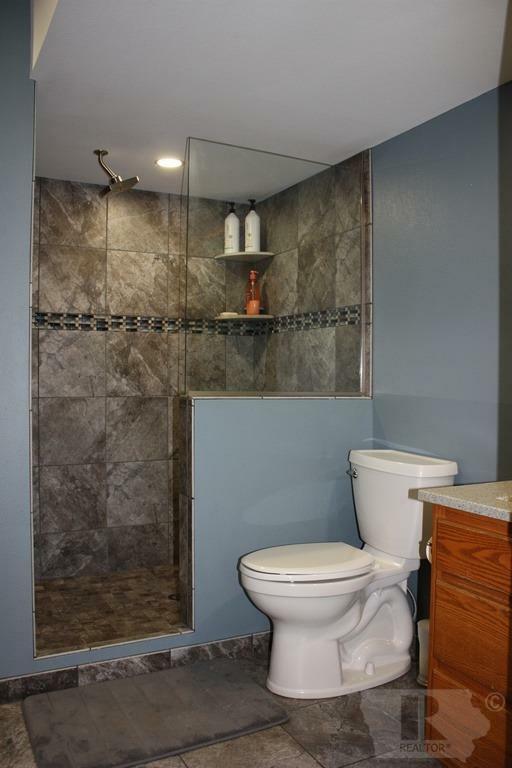 Main floor bathroom has been newly remodeled with a new bathtub, plumbing & fixtures, and 2 of the 3 bathrooms are very spa like with heated floors and the tile work is amazing as well. 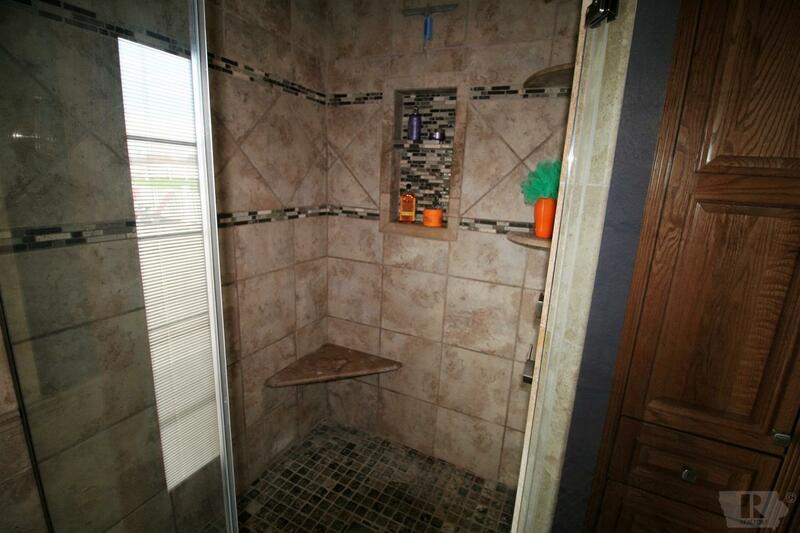 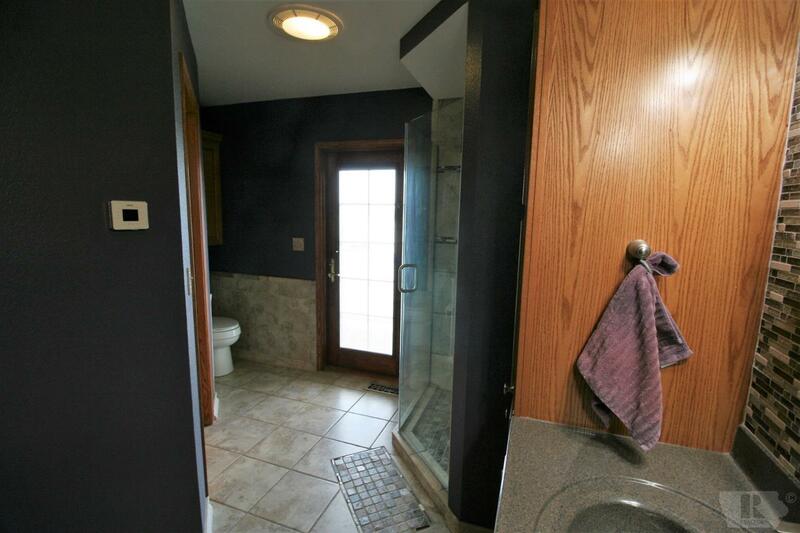 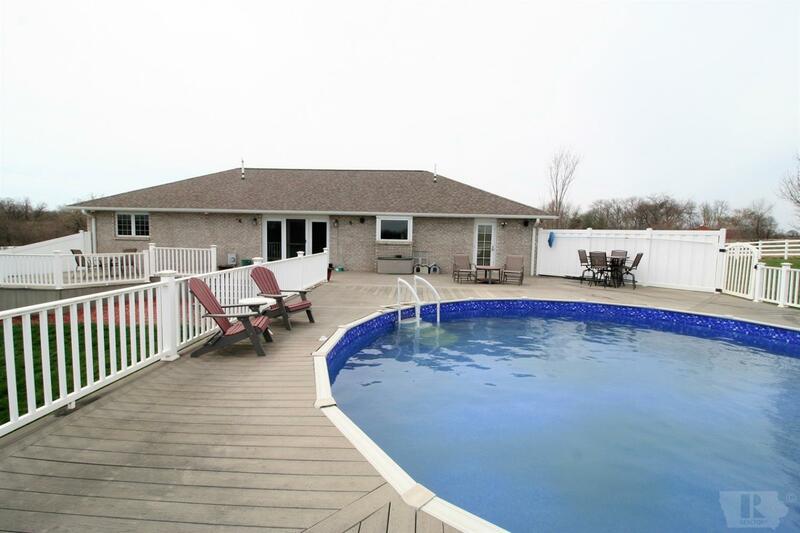 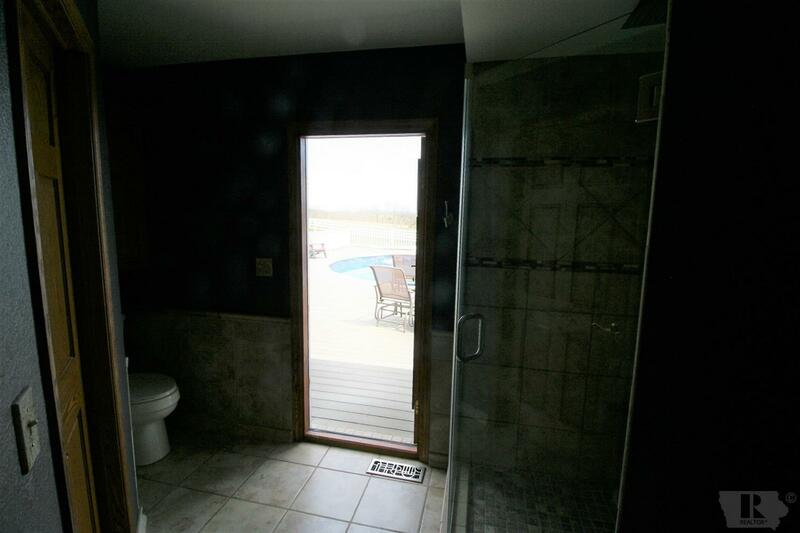 Master bathroom has access to the deck, making a pool day super convenient!!! 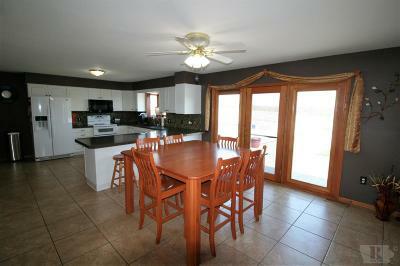 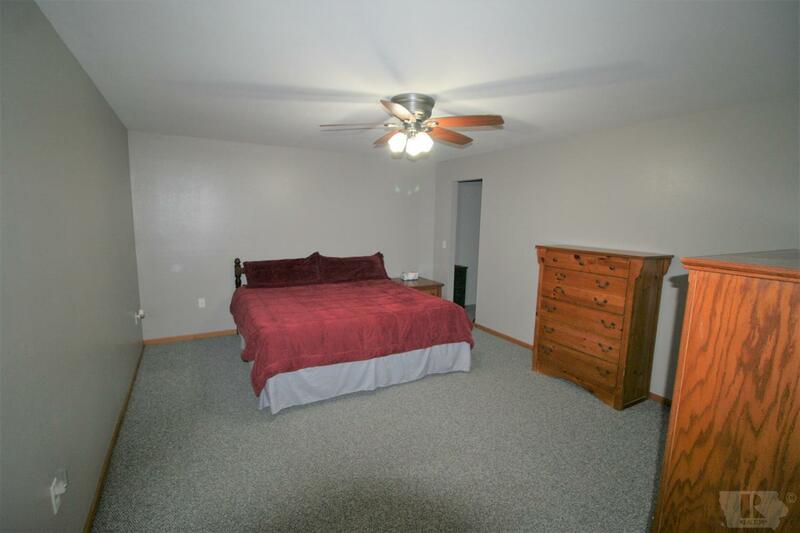 This property has been extremely well maintained and you can see that walking in. 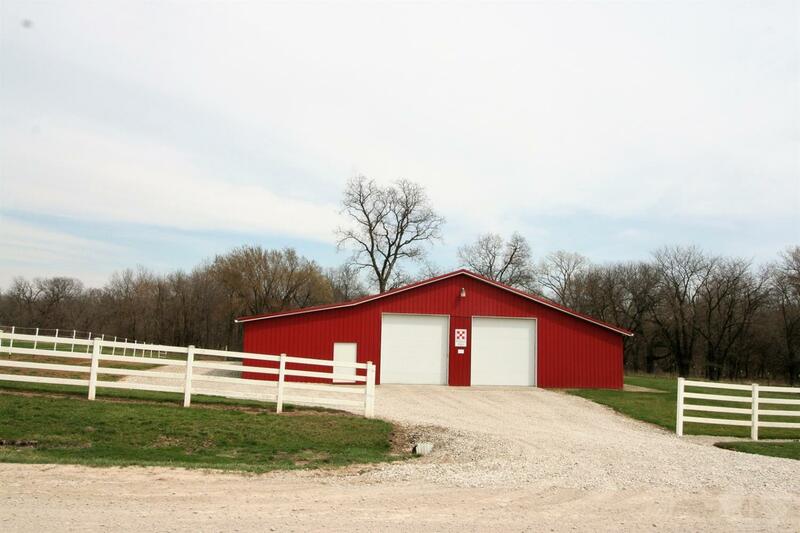 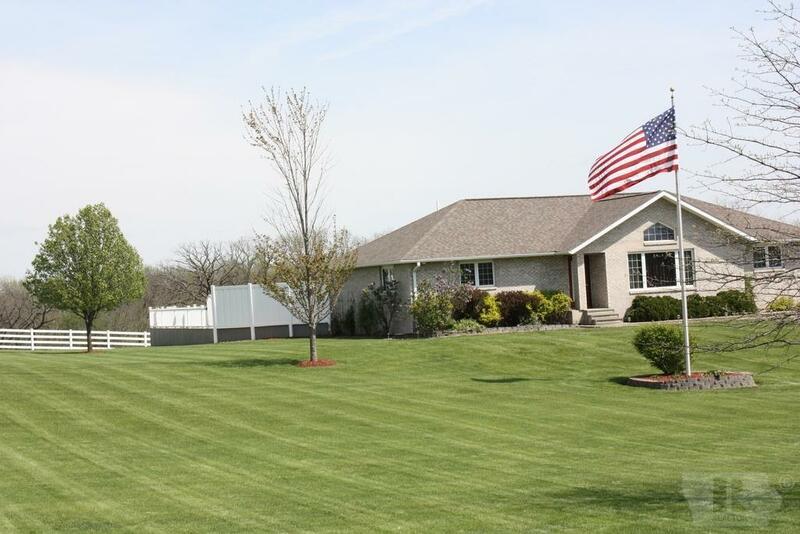 This property won't last long, so take a look!